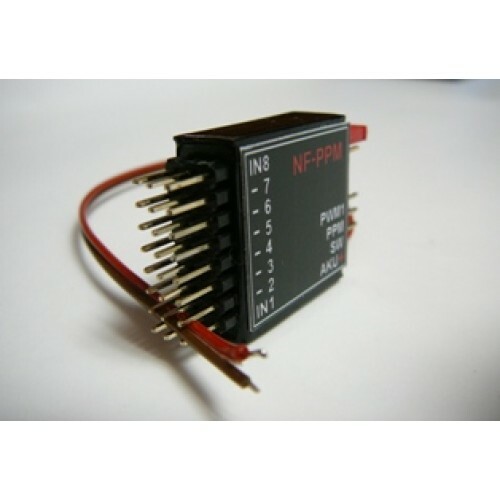 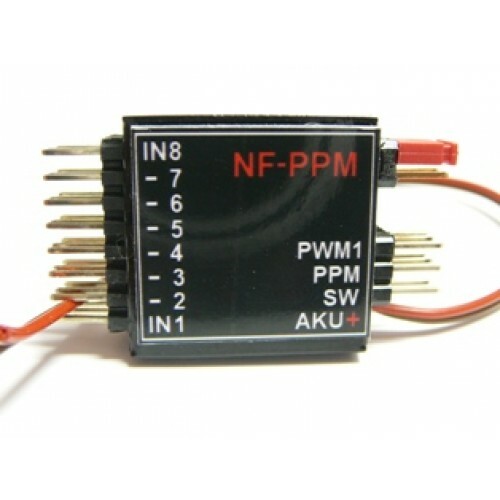 NF-PPM modulator converts 8 analog signals ( 0 - 5 V) to standard PPM sequence. The first input IN1 is converted to the standard PWM servo signal 1 to 2ms with period 20 ms. 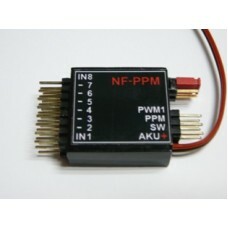 So the modulator can be used also as a U/PWM converter.